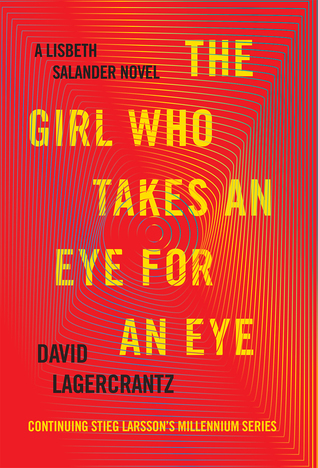 Today I'm featuring my current read, The Girl Who Takes an Eye for an Eye by David Lagercrantz, translated from the Swedish by George Goulding. The excerpts shared are from a library copy. Holger Palmgren was sitting in his wheelchair in the visitors' room. "Why is that dragon tattoo so important to you?" he said. "I've always wanted to know." Page 56: "''So what was it?'" "No idea. All I know is that it ended as quickly as it started, a few days later. He totally fell apart." My thoughts: This is the latest book in the Millennium Series, created by Stieg Larrsson, which began with The Girl with the Dragon Tattoo. The book was an instant success, as were the other two he wrote in the trilogy. Unfortunately, Larrsson died shortly after turning in the manuscripts for the trilogy (and had planned 10 books in the series)--before their publication and huge success. When it was announced that another author would continue the series, I was skeptical that the quality and integrity would remain intact. To my delight, Lagercrantz has lived up to the challenge, having written books 4 and 5. 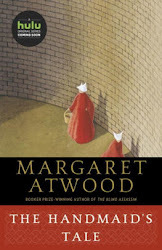 From Goodreads: From the author of the #1 international best seller The Girl in the Spider's Web: the new book in the Millennium series, which began with Stieg Larsson's The Girl with the Dragon Tattoo. Lisbeth Salander - the girl with the dragon tattoo, the brilliant hacker, the obstinate outsider, the volatile seeker of justice for herself and others - has never been able to uncover the most telling facts of her traumatic childhood, the secrets that might finally, fully explain her to herself. Now, when she sees a chance to uncover them once and for all, she enlists the help of Mikael Blomkvist, the editor of the muckraking, investigative journal Millennium. And nothing will stop her - not the anti-Muslim gang she enrages by rescuing a young woman from their brutality; not the deadly reach from inside the Russian mafia of her long-lost twin sister, Camilla; and not the people who will do anything to keep buried knowledge of a sinister pseudo-scientific experiment known only as The Registry. Once again, Lisbeth Salander and Mikael Blomkvist, together, are the fierce heart of a thrilling full-tilt novel that takes on some of the most insidious problems facing the world at this very moment. This Friday Focus post was originally composed and/or compiled and published for the blog, bookclublibrarian.com. It cannot be republished without attribution. Retweeting and sharing on Google+ are appreciated.